Military Style Attack On Cash Storage Facility Leaves 3 Dead, Tens Of Million Of Dollars Stolen. A brazen and extremely violent robbery that left 3 dead and 10 million dollars in cash stolen was caught on CCTV footage from March 14th. 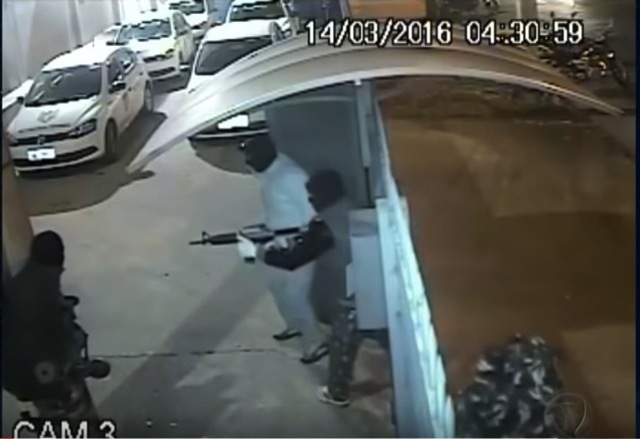 A group of around 20, very armed, masked men carried out a military style attack on the facility, complete with machine guns and explosives in São Paulo Brazil. Although the exact amount stolen has not been reported, police say around 10 million dollars have been recovered.